Add the noodles to the pan and toss to coat. Once they have warmed up, add the sauce and allow to reduce slightly. Add the spinach, spring onions, choy sum leaves, sawtooth coriander and Thai basil. Stir and toss to combine and ensure the noodles and leaves are coated in the sauce.... Add the noodles to the pan and toss to coat. Once they have warmed up, add the sauce and allow to reduce slightly. Add the spinach, spring onions, choy sum leaves, sawtooth coriander and Thai basil. Stir and toss to combine and ensure the noodles and leaves are coated in the sauce. Heat remaining oil, add onion and carrot and stir-fry for 1 minute. Add chilli, garlic and curry paste, then stir-fry for a further minute. Return pork to wok and add fish sauce, sugar, lime juice and noodles.... Originally posted on April 2, 2007. Updated with new photos. This divine bowl of Penang Hokkien Mee (Prawn Noodle) took me months of hard work and patience. 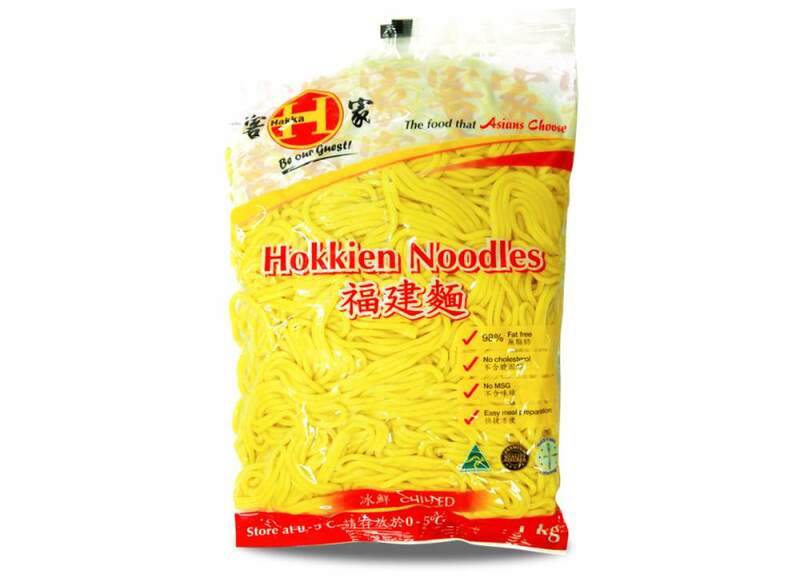 1 x 600g packet fresh hokkien noodles, prepared according to the packet Slice the beef thinly and drizzle over some soy sauce and lots of freshly cracked pepper Heat a smidge of oil in a wok and over high heat quickly sear the meat in small batches* � don�t let it stew in there, it can be pretty rare as it will keep cooking when you set it aside and throw it back in at the end � and set... Heat remaining oil, add onion and carrot and stir-fry for 1 minute. Add chilli, garlic and curry paste, then stir-fry for a further minute. Return pork to wok and add fish sauce, sugar, lime juice and noodles. Originally posted on April 2, 2007. Updated with new photos. This divine bowl of Penang Hokkien Mee (Prawn Noodle) took me months of hard work and patience.